Most people think of Daytona as the place you can drive your car on the beach and the home of American stock car racing. But in recent times something special has happened in Daytona Beach: It's all grown up now, and it's way more than a beach! Yes, the Spring-Break crowd now includes plenty of families and couples on a Daytona Beach holiday. Of course in the early days of motoring Daytona became the place that enthusiasts such as Henry Ford and Louis Chevrolet used to race their prototypes on the smooth firm sands and in 1935 our very own Malcolm Campbell set a new land speed record of 276mph right here on the sand. There's no racing allowed these days and the speed limit is a much more sedate and sensible 10mph. But you can create your own endless summer by driving the beach - simply pay the $10 fee. Or you can rent a beach buggy and take the 17-mile ride along the strand. Access to the beach is via any one of the many ramps off Highway A1A. Ever fancied riding a Harley? Bon Voyage can arrange for you to rent one of these iconic machines for an hour, a day, or a week. 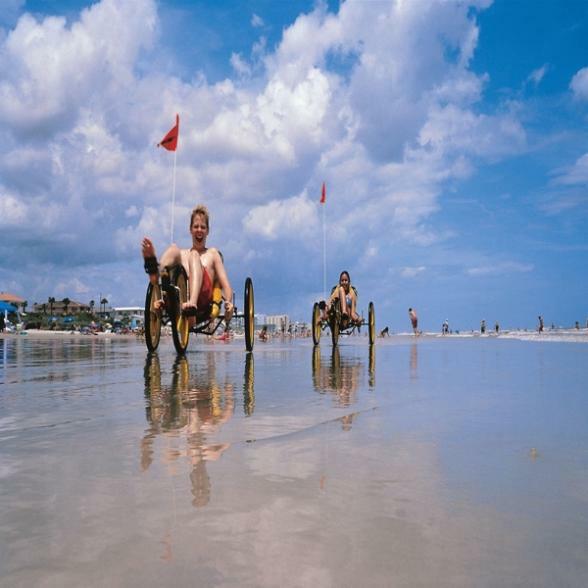 What better way to cruise around on your Daytona Beach holidays? Quality accommodation and fresh new eateries abound, and with theatre, renowned museums, music festivals and more, there’s a rich choice to see and do on a holiday to Daytona Beach. There are plenty of opportunities to play some Golf on your holidays to Daytona Beach. The courses in the area are both world-class and reasonably priced. 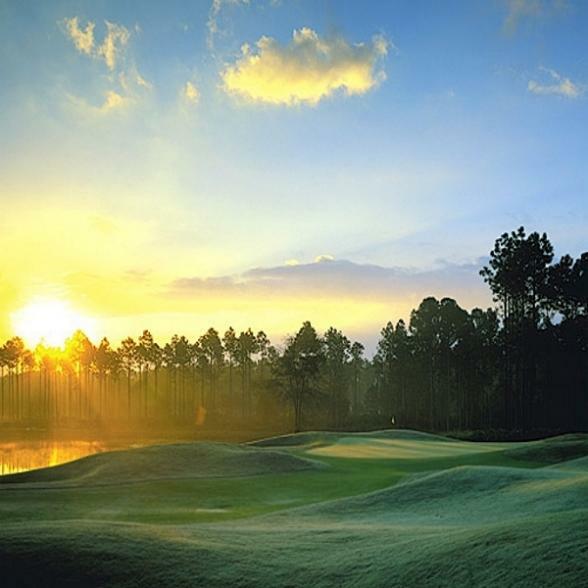 As well as being home to LPGA International's famed Legends and Champions courses, the area also offers dozens of high quality layouts on which to play. With magnificent views across Daytona Beach this luxury, elegant hotel with beautifully designed guestrooms has impeccable service.